Even though fall is right around the corner, it still very much feels like summer here in Michigan. Tomatoes are still being harvested, my herbs are exploding and the temps are still up in the 80’s. As much as I’m ready to move on to #PumpkinAllTheThings, I just can’t quite quit summer just yet. 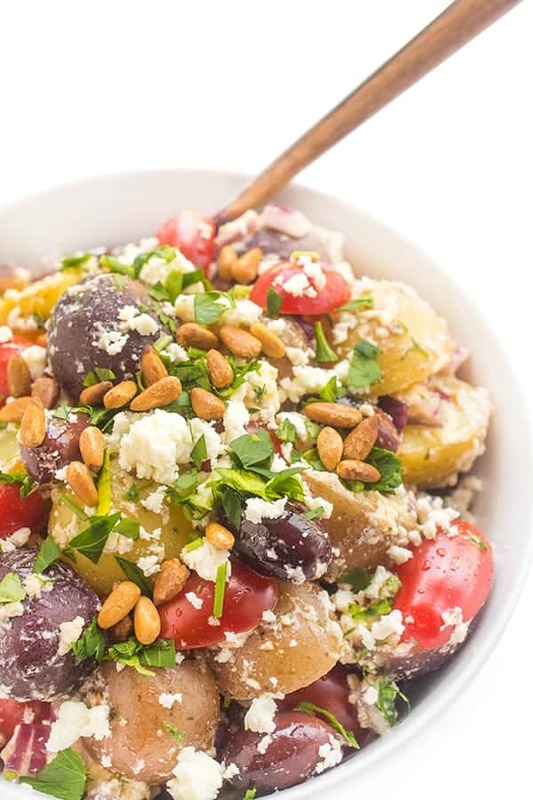 Since we are still grilling on a regular basis, I recently came up with a fresh and flavorful potato salad bursting with Greek flavors. Fresh dill, creamy feta, juicy Kalamata olives and toasted pine nuts are tossed together with my favorite Little Potato Company creamers. For this recipe, any variety works really! 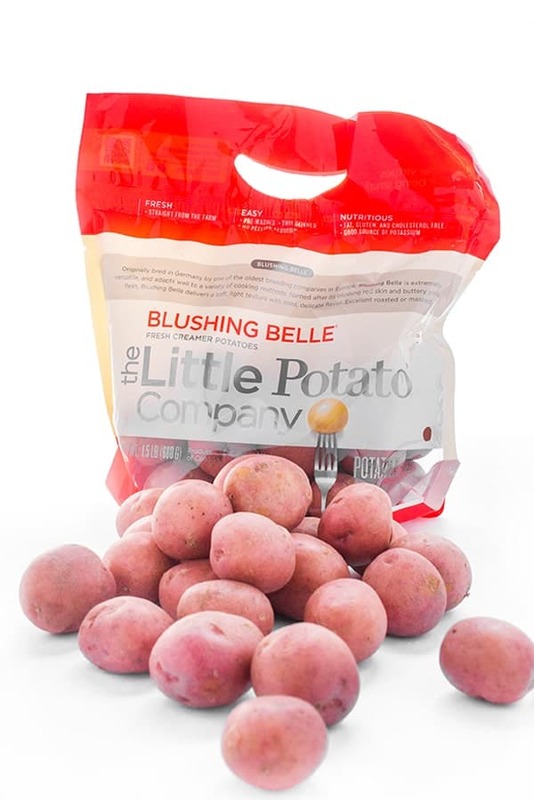 You could use the beautiful Blushing Belle variety pictured above or the Terrific Trio Blue Potatoes I used for this fast and easy Greek Potato Salad recipe. For added crunch and texture, I like to sprinkle with toasted pine nuts before serving but those are optional if you don’t have them on hand! Toasted almonds would work well too. For more satisfying side dish recipes, check out my Pinterest board! 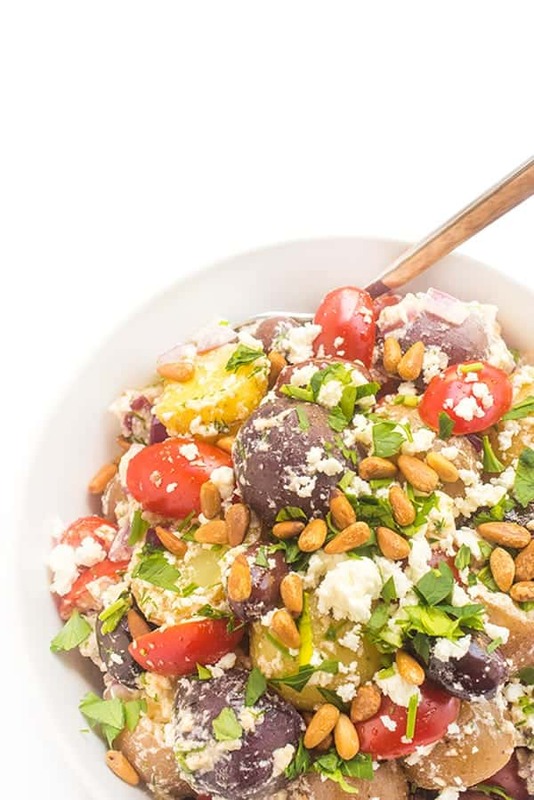 Such a great salad, love all those wonderful Greek flavors! 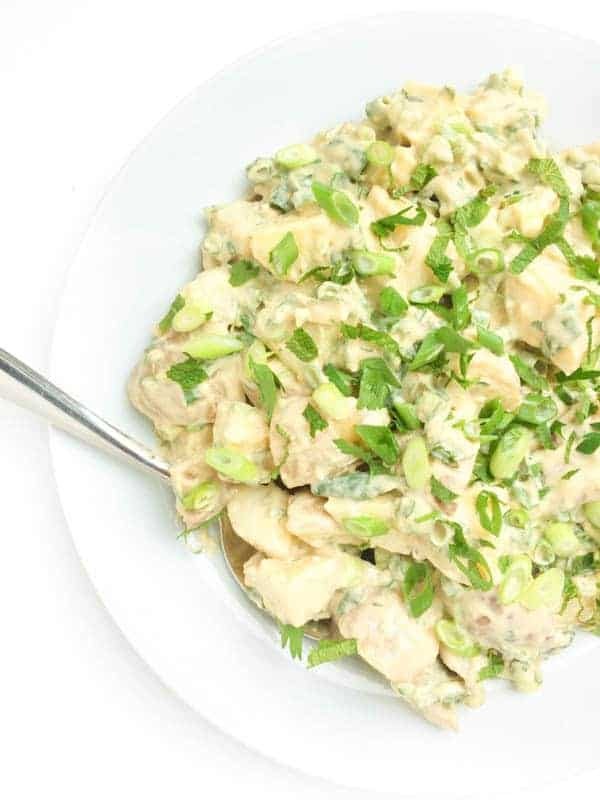 Potato salad is always a good idea. And then to add Greek goodness to it? UMM, this is just one, big, MEGA WIN. I could legit eat this alone for a meal! What a wonderful salad!! I love all the beautiful colors! 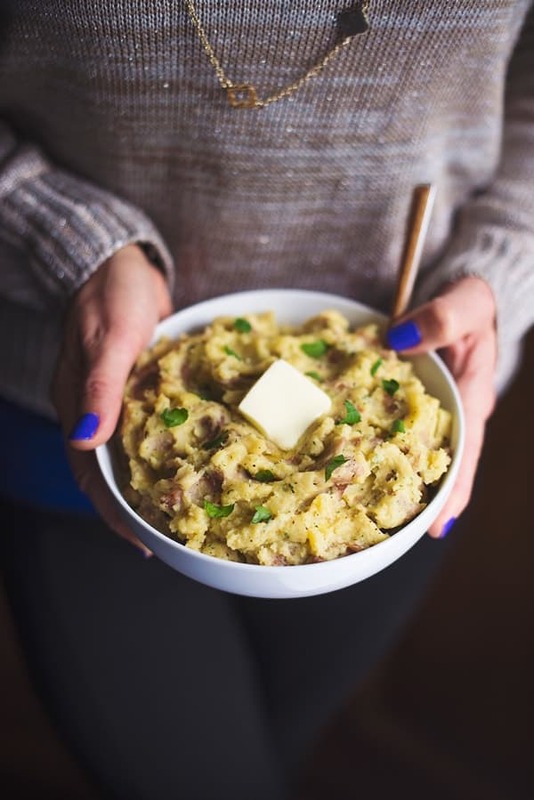 This is such a creative potato salad! Our heat index was 105 today. We are still grilling and trying to keep cool while we await fall to arrive. 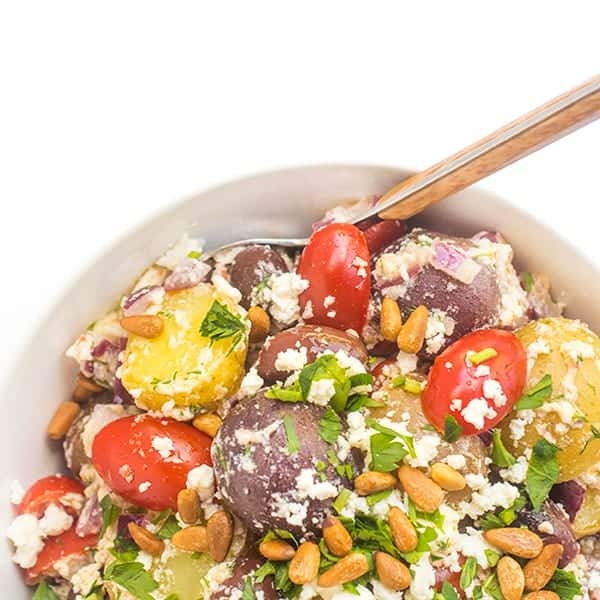 This Greek Potato Salad is perfect for grilled burgers or chicken! oh my gosh lady!!! Keep cool!